Ski Buddies will venture to the Galena Lodge, http://www.galenalodge.com/, 23 miles north of Ketchum, Idaho and the Sun Valley Resort, during the first weekend in February 2017. This is a cross country/backcountry/ snow shoe trip. Extending right from the doorstep of the Lodge is the North Valley Trail System with over 50km of immaculately groomed Nordic trails for both skate and classing skiing and over 25km of snowshoe trails. The trail system is laid before the gorgeous backdrop of the Boulder Mountains - - 10,000 foot peaks that glisten above the Lodge presenting consistently amazing scenery. The dry Idaho air and high elevations combine to almost guarantee several months of deep, packed power conditions. The trip will overlap the Sun Valley Nordic Festival which celebrates the region’s more than 200km of groomed Nordic trails. Some folks may want to arrive a day or two early, take advantage of the cheaper mid-week rates, and sample the trails south of Galena. Some may also want to ski the 34km Boulder Mountain Tour or 15km Half Boulder, http://bouldermountaintour.com/, both scheduled for Saturday, February 4th. The Galena Lodge is a community owned day-lodge that serves baked goods and breakfast sandwiches, lunch and special dinners. 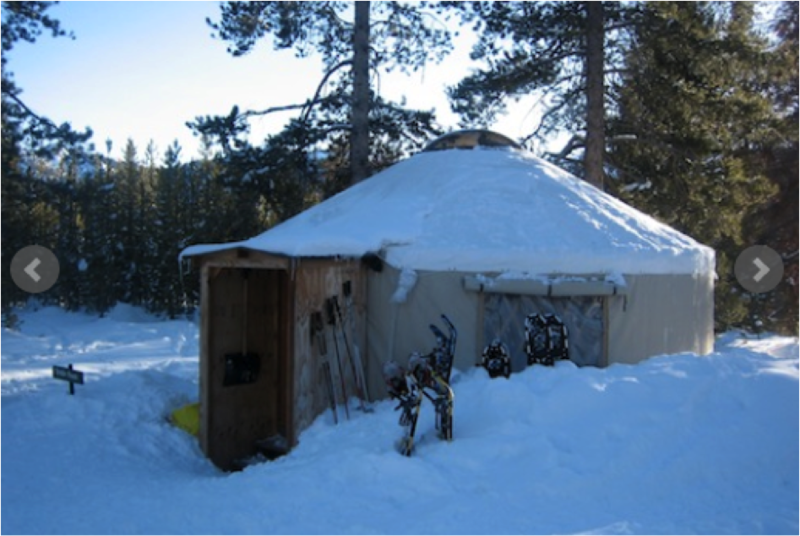 We’ll be staying in yurts reached by ski or snowshoe from the Lodge. The yurts are fully equipped with wood stoves for heat, propane stoves, fuel for cooking, solar lights, pots, pans, dishes, etc. A sauna is located near the yurts as are communal outhouses. The Galena Lodge trip is an affordable way to explore the spectacular but typically expensive Sun Valley area. The $160 trip cost includes the yurt accommodations (for three nights, arriving Thursday, departing Sunday) and gear hauls to and from the yurts. Folks will purchase their own food and trail passes and arrange for their own transportation. Contact trip leader Tom Rowan for more information at tprseattle@msn.com.